The fabled Mountains of the Moon lie in western Uganda along the Uganda-Congo border. The equatorial snow peaks include the third highest point in Africa, while the lower slopes are blanketed in moorland, bamboo and rich, moist montane forest. Huge tree-heathers and colorful mosses are draped across the mountainside with giant lobelias and “everlasting flowers”, creating an enchanting, fairytale scene. 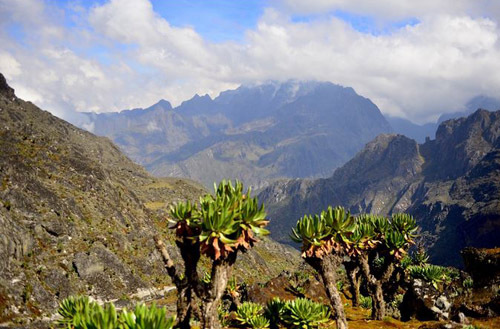 The Rwenzoris are a world-class hiking and mountaineering destination. A nine- to twelve-day trek will get skilled climbers to the summit of Margherita – the highest peak – though shorter, non-technical treks are possible to scale the surrounding peaks. Mt. 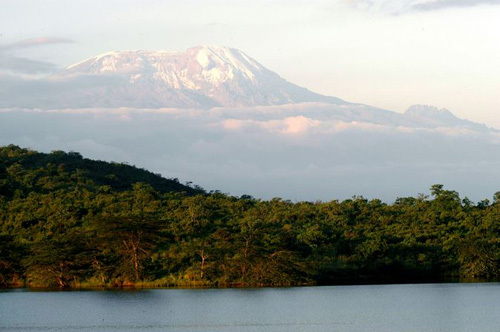 Meru is located in Arusha National Park and is 50 miles west of Mt. Kilimanjaro. Mt. Meru reaches 14,980 feet (4,565 meters) and serves as an ideal warm up for Mt. Kilimanjaro due to its altitude acclimatization and hiking distances. 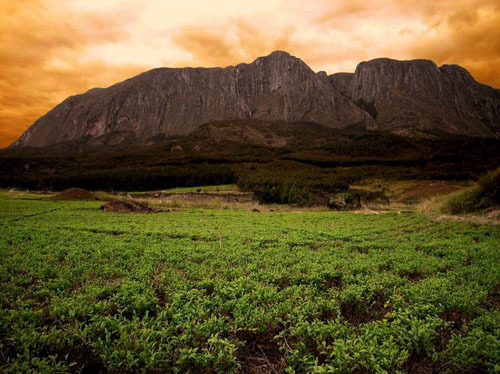 On the lower slopes of the mountain you are likely to come across elephants, giraffes, and buffalo. Throughout the climb there are designated huts along the trail that you can sleep in. Most people reach the summit as the sun is rising to witness the spectacular views of Mt. Kilimanjaro and Mt. Meru Crater. Along the eastern border, forming a natural barrier between Swaziland and Mozambique, is a line of rugged volcanic hills known as the Lubombos, which rise abruptly from the lowveld to some 600m. This range extends far beyond Swaziland, following the Mozambique border north through the Kruger National Park and south into KwaZulu-Natal. From below, it appears as a single line. In fact, the hills comprise a number of parallel ridges broken by deep gorges where the Usutu, Ngwavuma and Mbuluzi rivers carve through to the Indian Ocean. 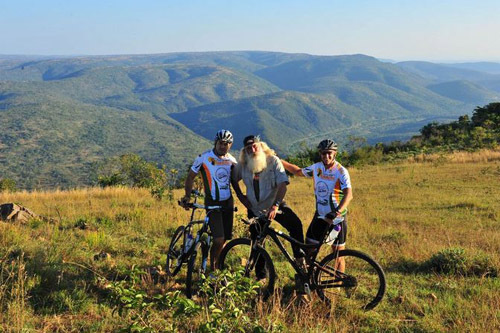 The Lubombo Eco Trails is aimed at providing the adventure seeker with a unique ecological and cultural experience. It is a community-focused initiative: a growing adventure trails network including hiking, mountain biking, 4×4 routes, bird watching, cultural routes and river rafting. At 4,000km² Mt. Elgon has the largest volcanic base in the world; it is also the oldest and largest solitary, volcanic mountain in East Africa. Its vast form, 80km in diameter rises more than 3,000m above the surrounding plains. The mountain’s cool heights offer respite from the hot plains below, with the higher altitudes providing a refuge for flora and fauna. The ultimate goal on reaching the top of Mt. Elgon is not the final ascent to the 4321m Wagagai Peak, but the descent into the vast 40km² caldera. 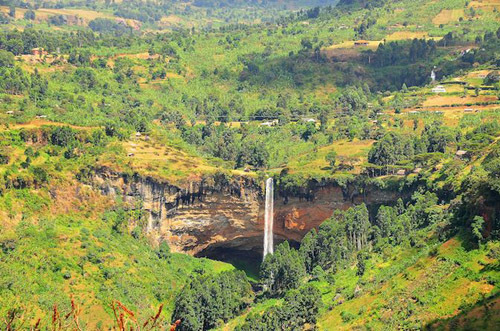 Elgon’s slopes are filled with caves; the largest being 200m long and they are constantly growing due to a curious herd of Savannah elephants. This particular elephant population are the world´s only elephants to venture underground into huge, dark caves and pass down the unique culture of salt mining to their young. Dubbed as one of Africa’s most beautiful, the Simien mountains offers visitors some of the most spectacular panoramic views and one of the few places on the continent where snow regularly falls. 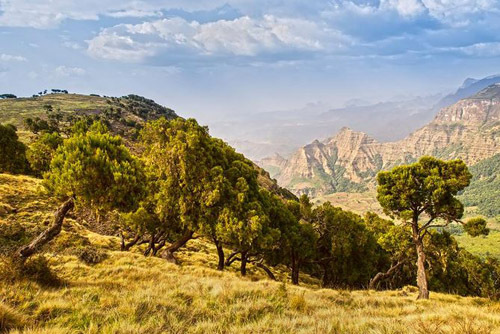 The Simien Mountains National Park was one of the first locations recognised as a UNESCO world heritage site.with its highest peak reaching 4550m. One of the other delights of these mountains is the rare endemic species living on its slopes including Gelada baboons, Ethiopian wolves and the Walia Ibex which is found nowhere else in the world. Tough but rewarding treks across these stunning peaks can last from 3-4 or 9-10 days depending on the route. The scale of this truly magnificent mountain is breath taking. The bare rock sides reach almost 10000ft dwarfing all that surrounds it. It lies to the east of Blantyre and is easily accessible. Visitors can drive round the foot of the massif in a day but even more attractive is to trek and camp on the mountains. Routes take hikers to plateaux, peaks, pools and waterfalls. Once on the mountain the vegetation changes with altitude and there’s plenty of wildlife from the klipspringer, a tiny antelope, to various other small mammals and, of course, a variety of birds. The latter include buzzard, the black eagle and countless white-necked ravens. Fishing for trout is possible in the River Lichenya, which drains the southwestern slopes. Much more by this author on her very excellent website devoted to Uganda and all things African.